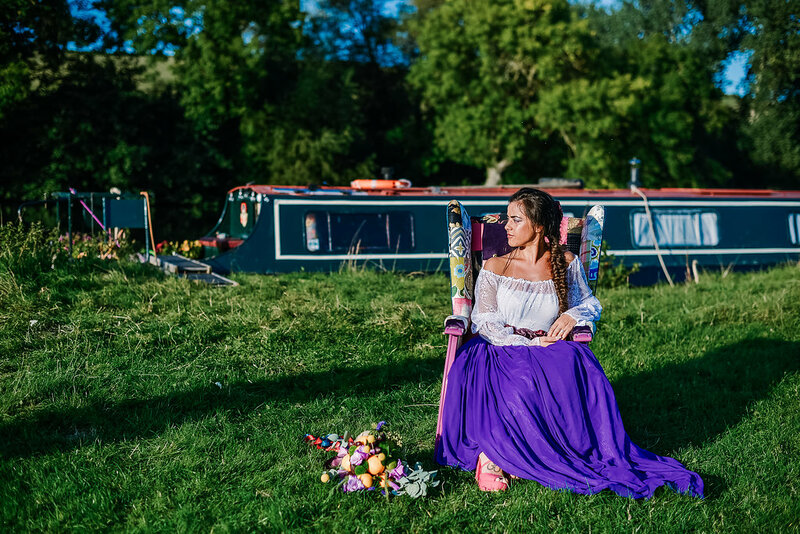 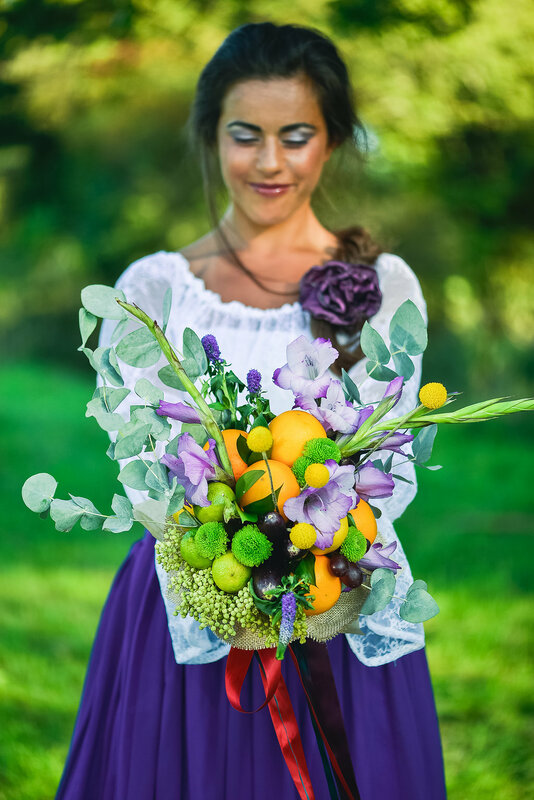 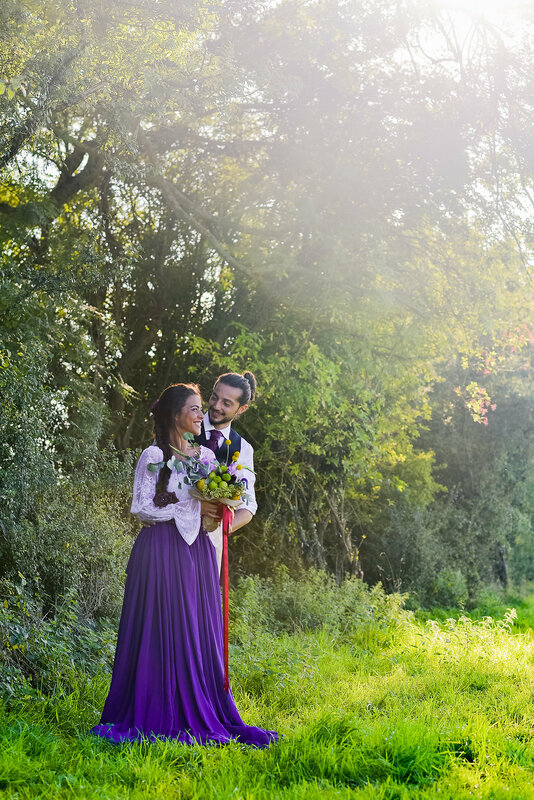 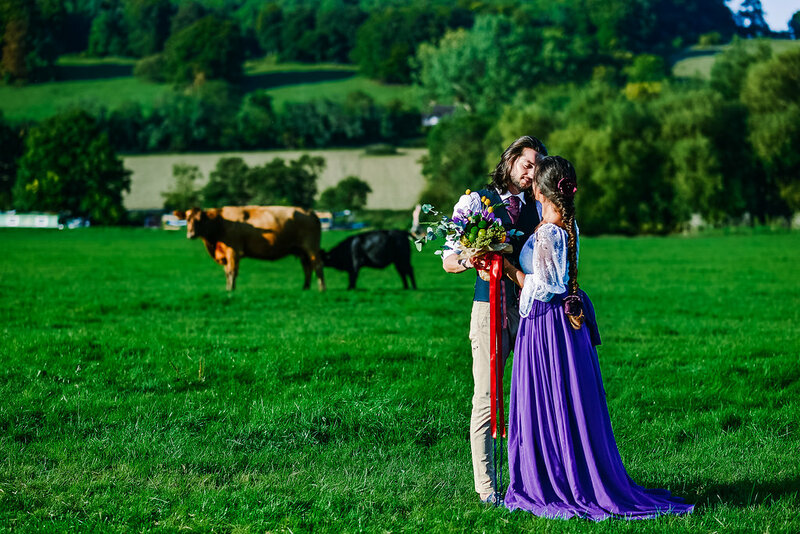 Today I am delighted to share this gorgeous gypsy inspired bridal inspiration shoot. 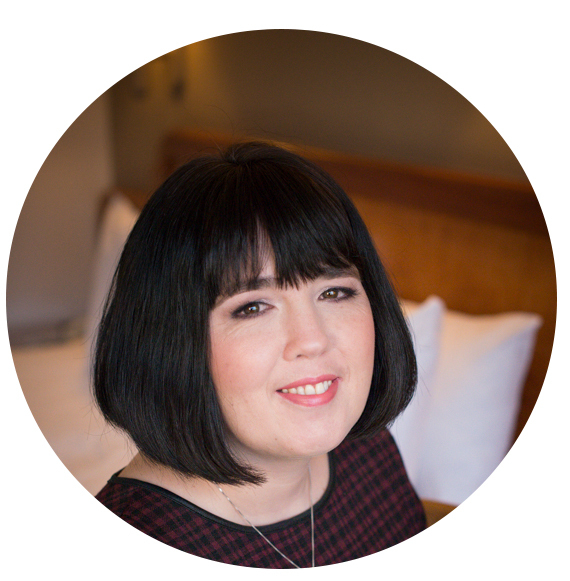 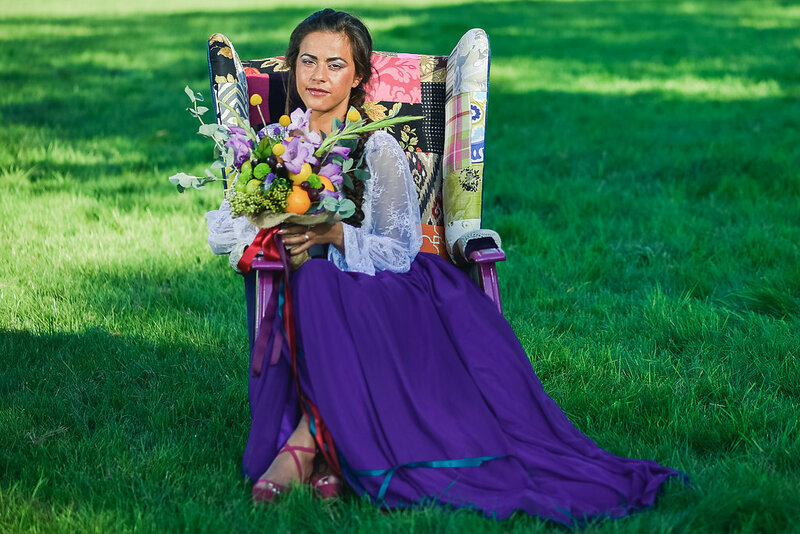 Images were captured by Berni Palumbo working with a fabulous collaborative team. 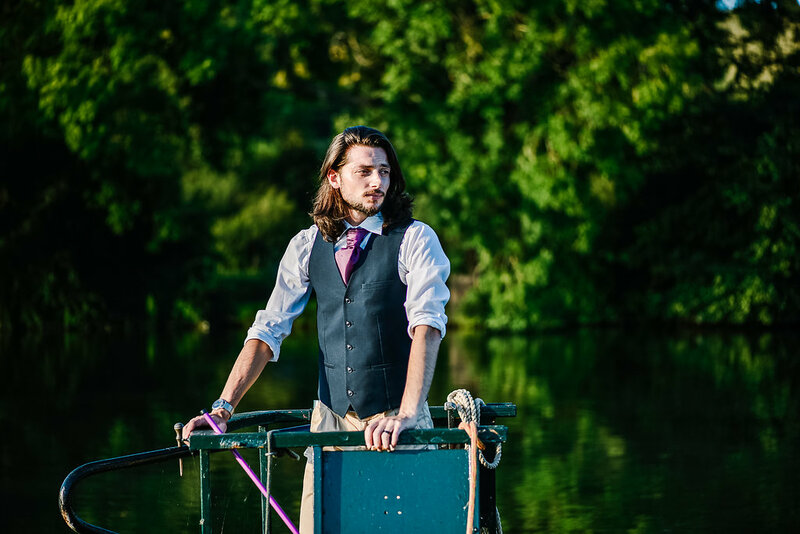 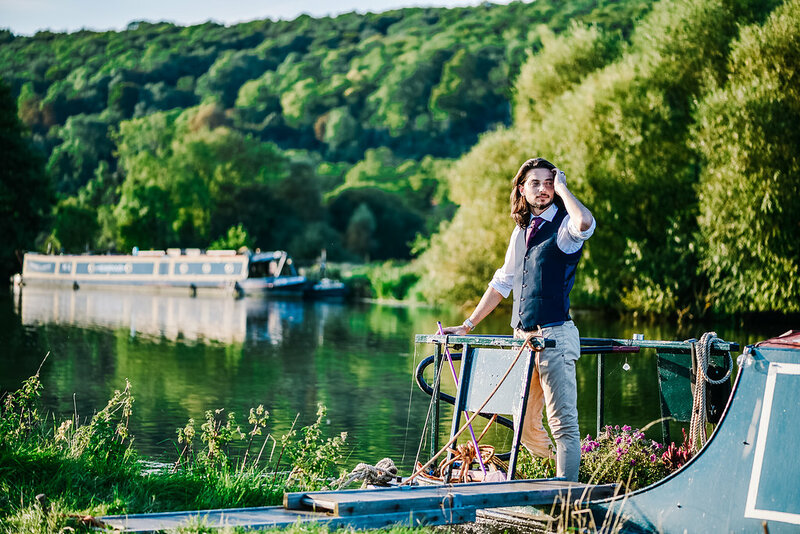 On a scorching day in late August, the team assembled to shoot on location on a narrowboat on the river Thames; with blue skies over a field full of cattle; and rolling Oxfordshire hills as the beackdrop. 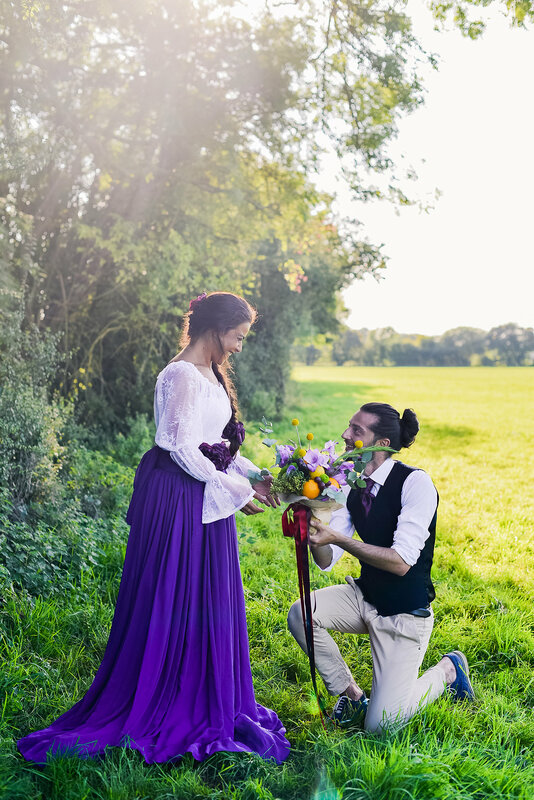 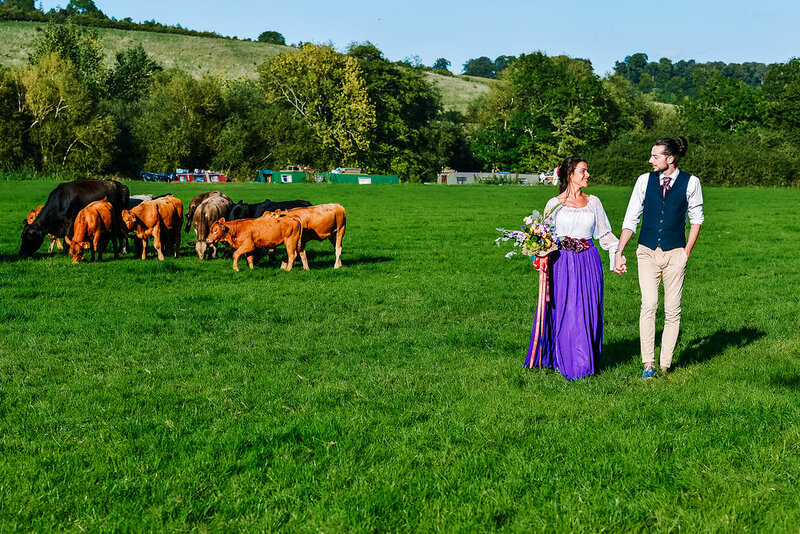 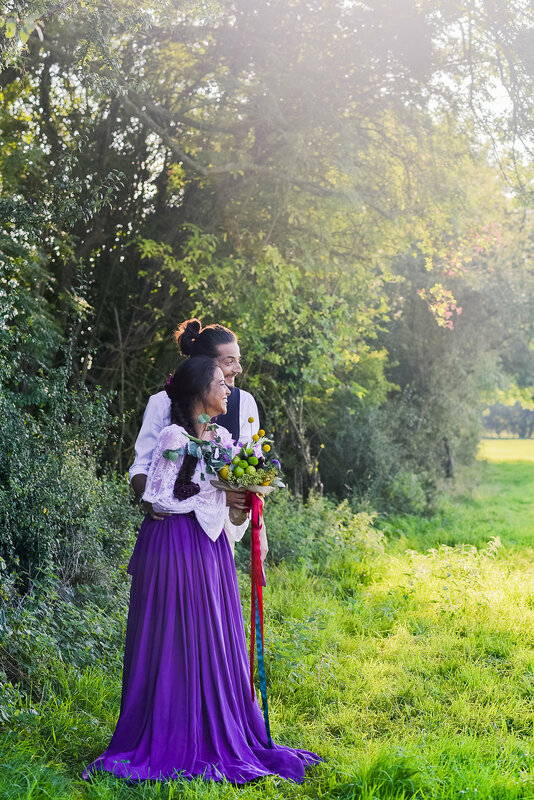 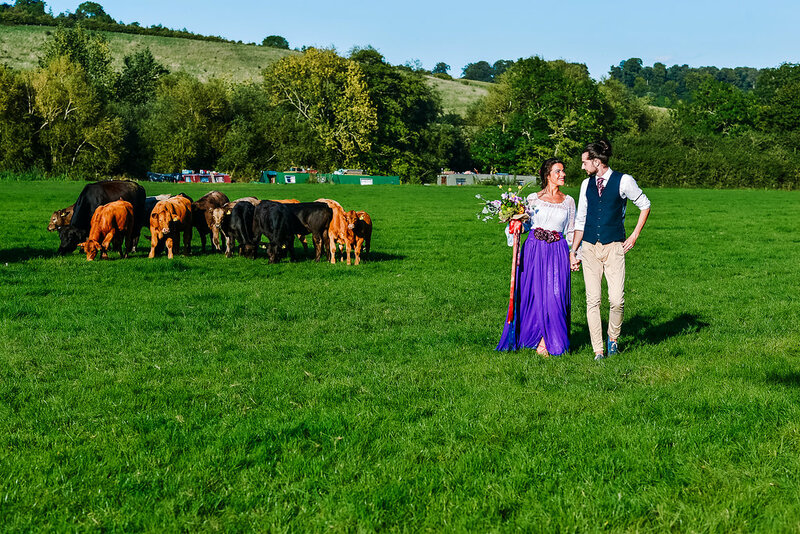 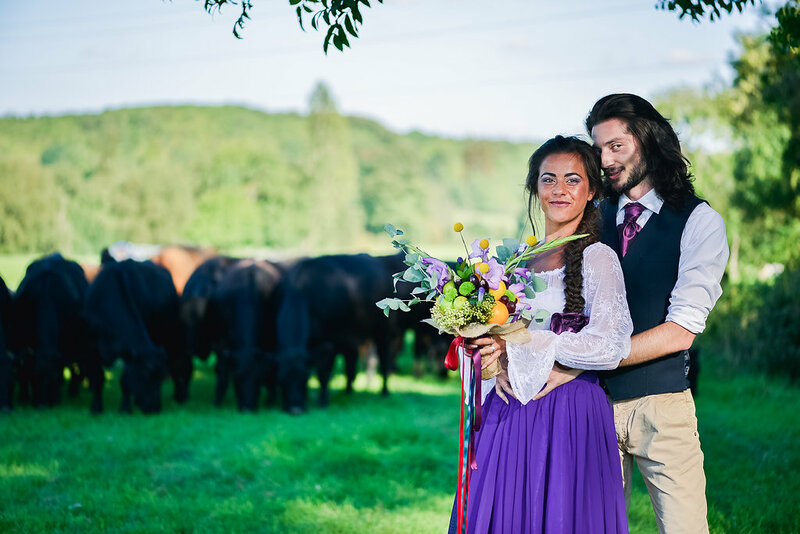 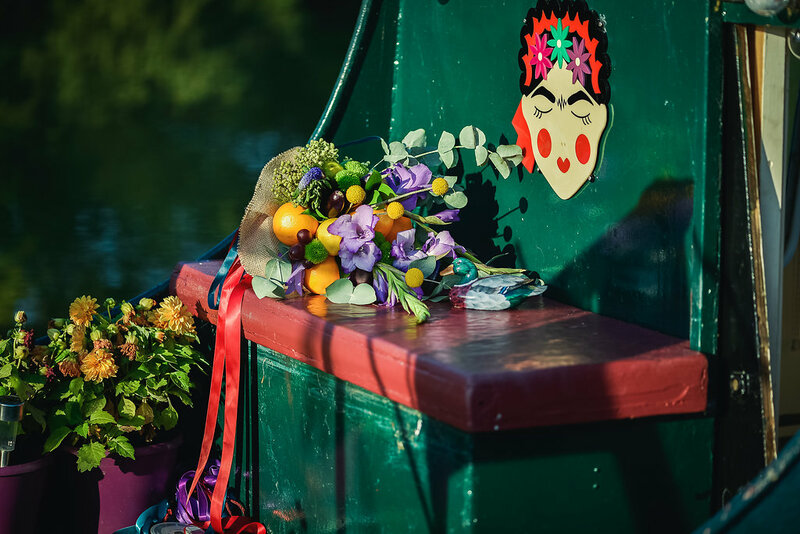 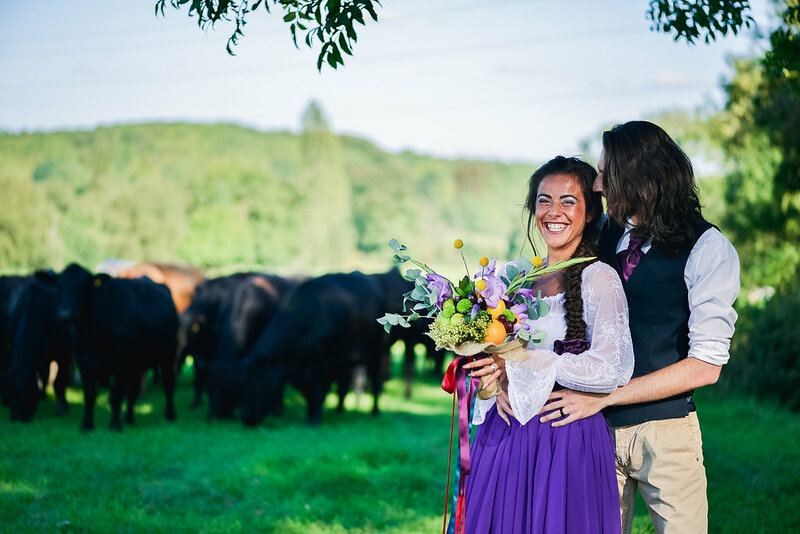 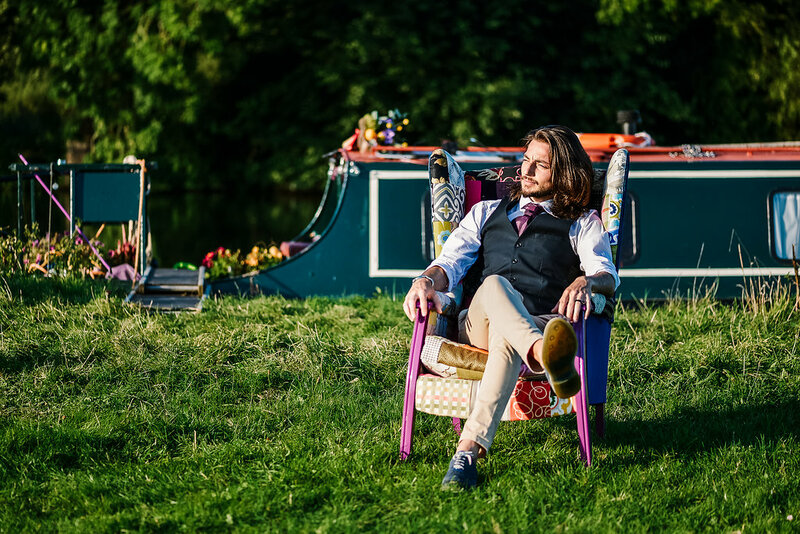 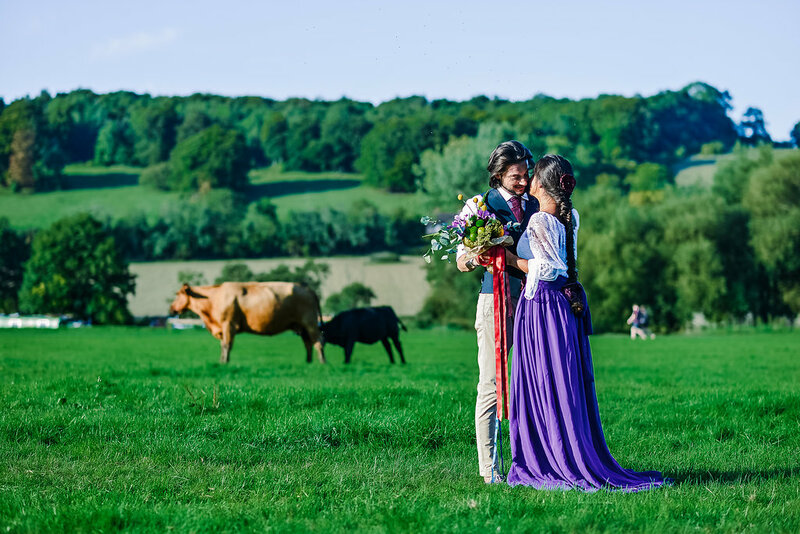 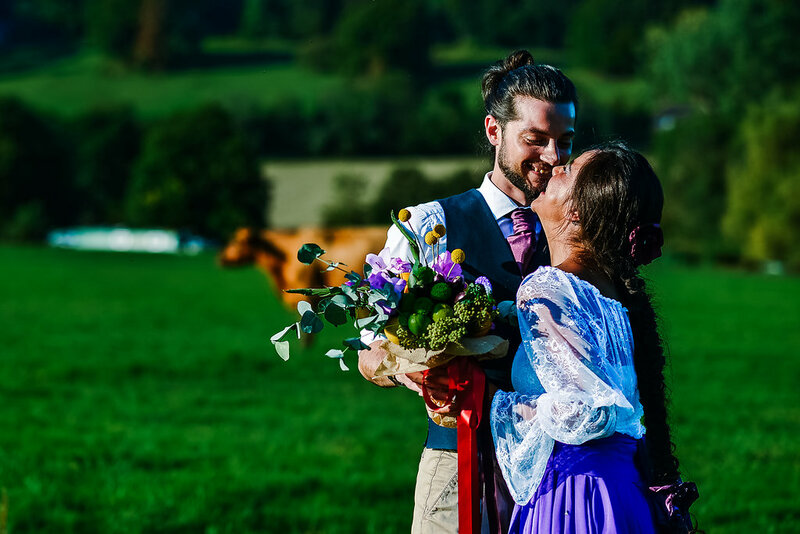 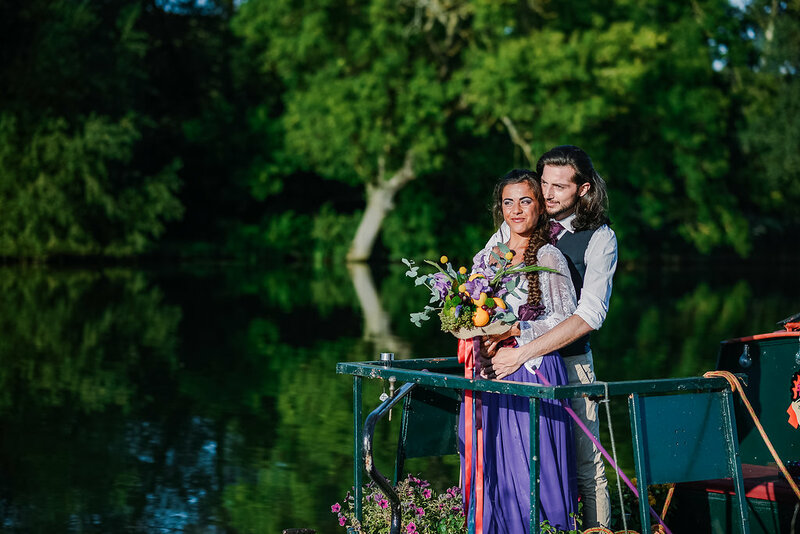 Our theme was a little untraditional – a bold, colourful wedding; part Frida Kahlo, part bohemian and part gypsy. 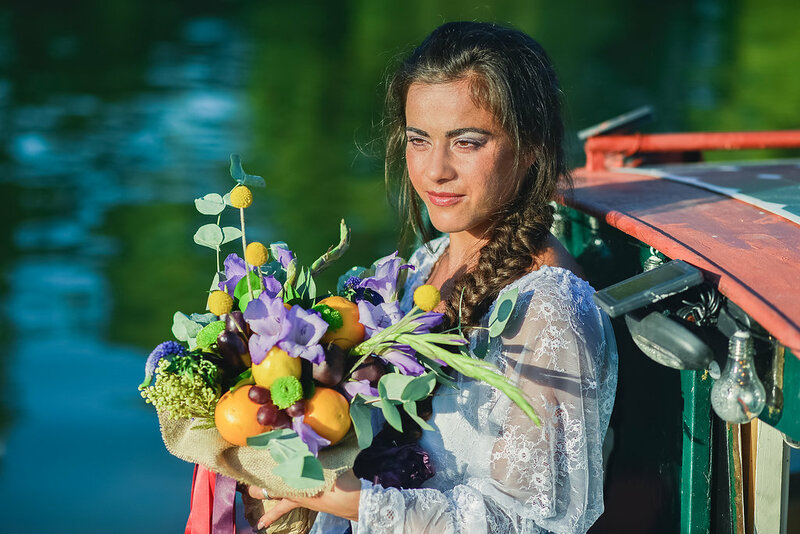 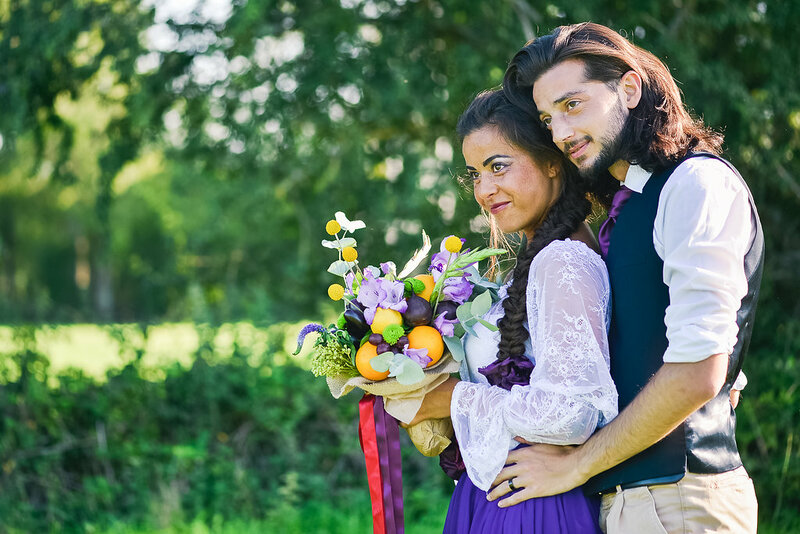 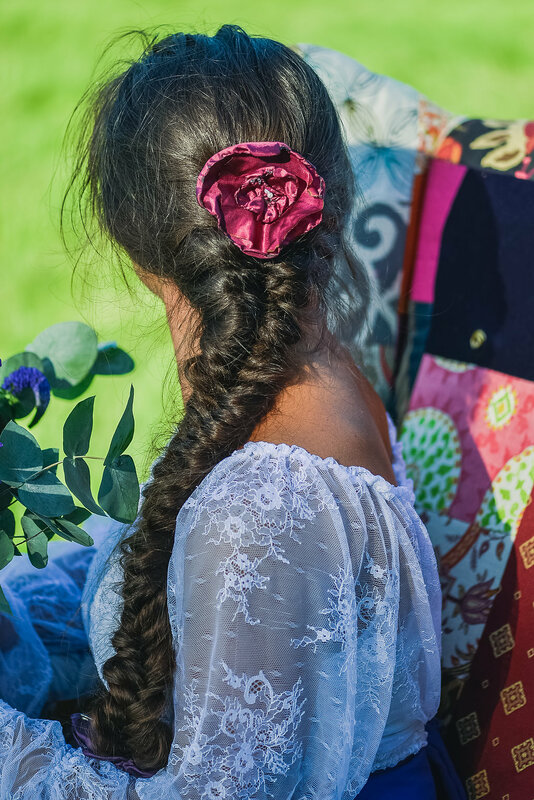 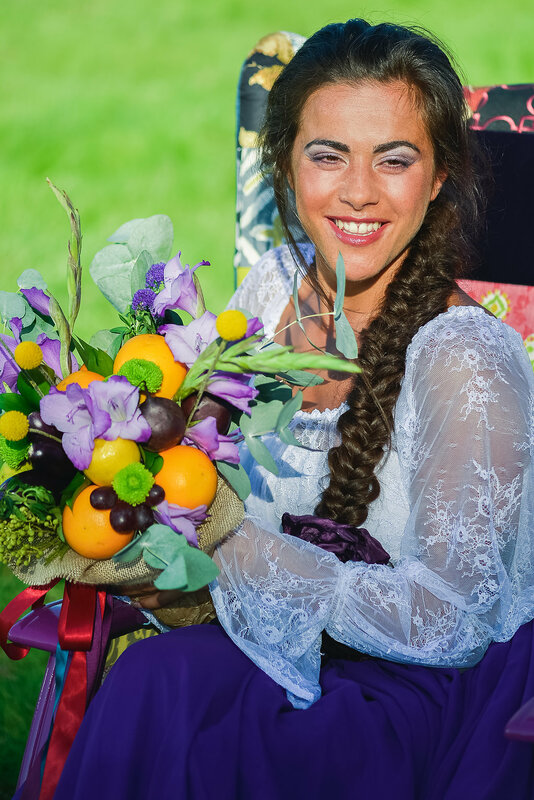 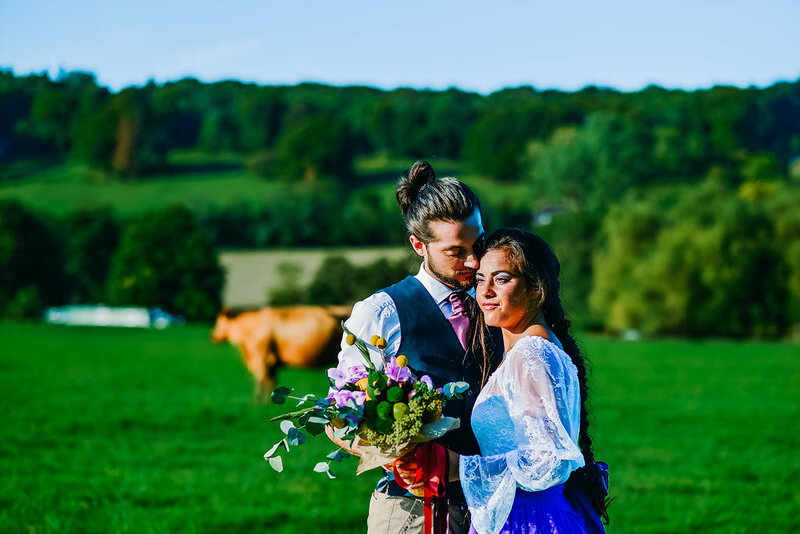 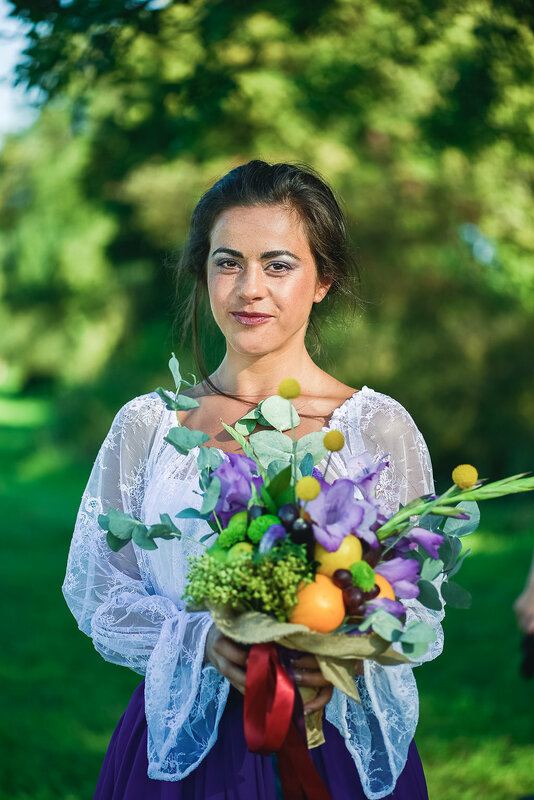 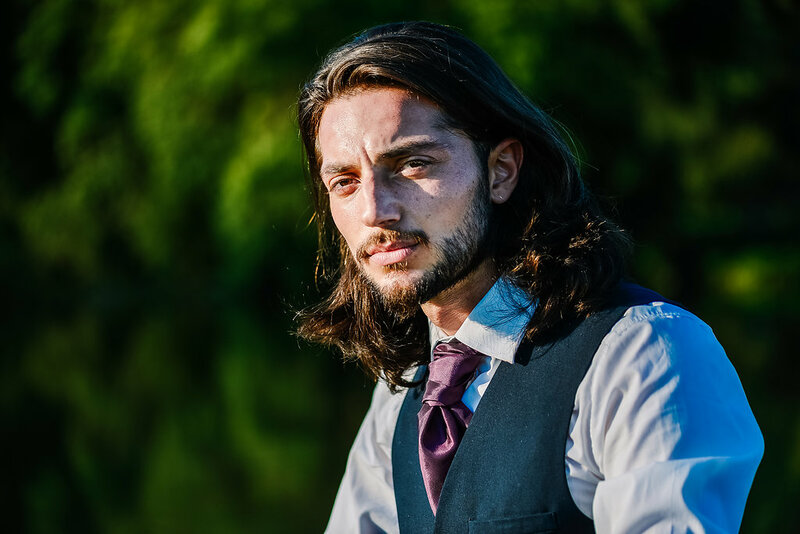 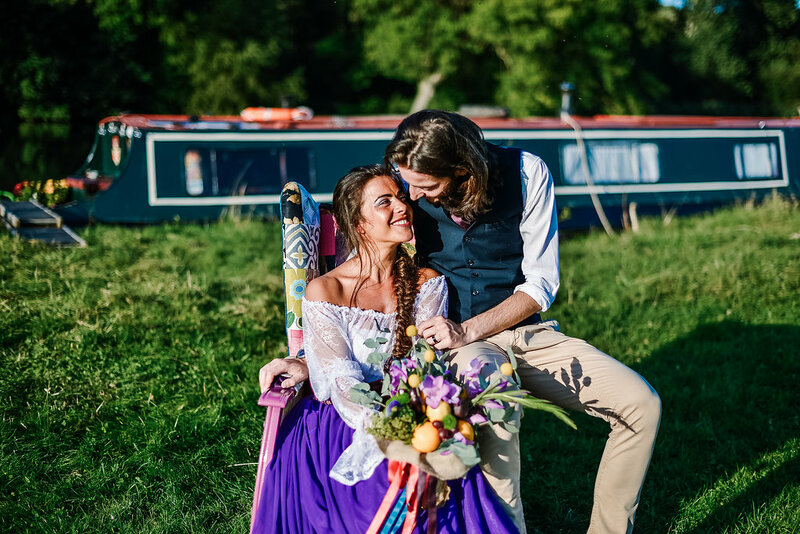 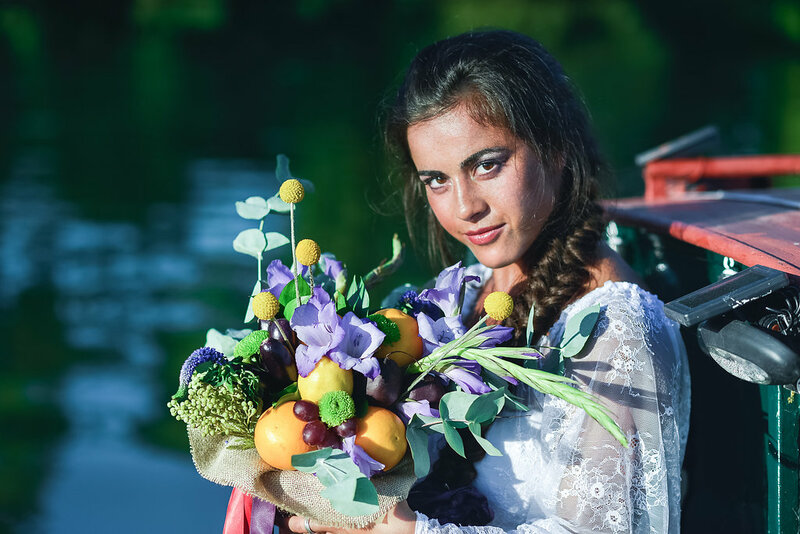 We enlisted a team of colourful creatives to bring to life this vivid and vibrant wedding concept through beautiful hair and makeup artistry, in a gypsy plait and tonal makeup. 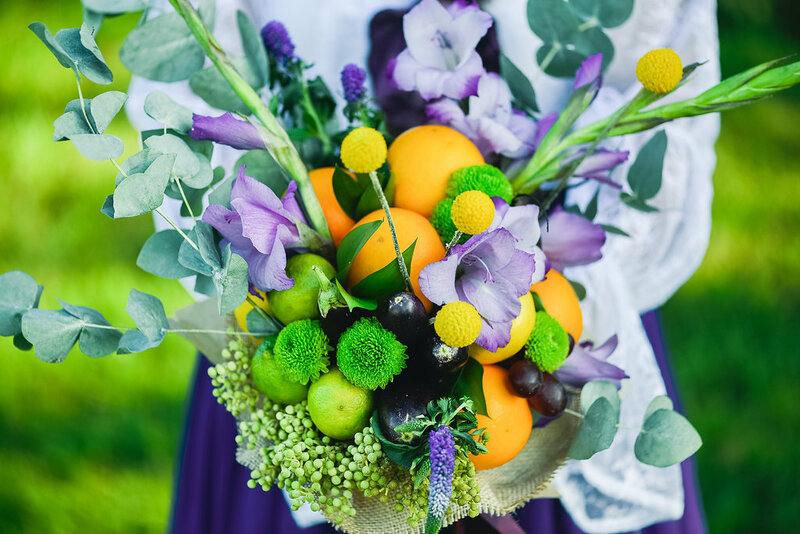 This was combined with unique floristry with a stunning fruit and vegetable bouquet and a custom upholstered patchwork armchair to compliment.. 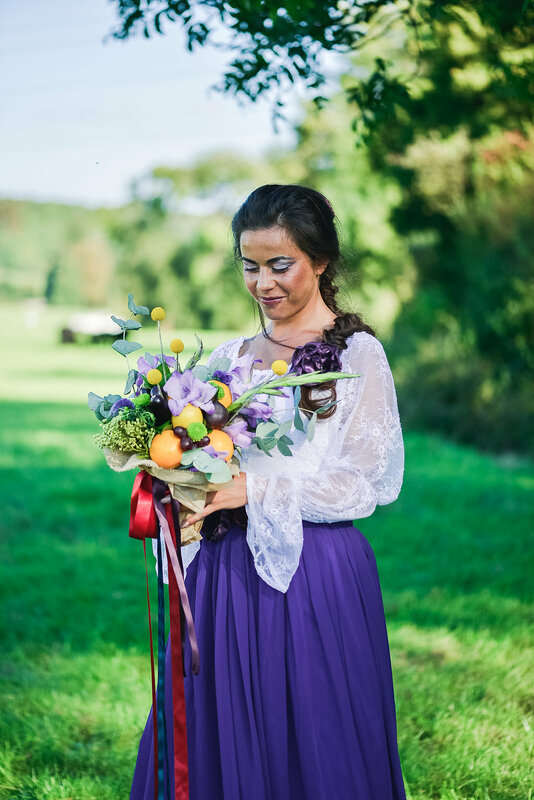 The Brides beautiful dress composed of a deep indigo purple chiffon skirt and a lace gypsy blouse, embellished with silk flowers. 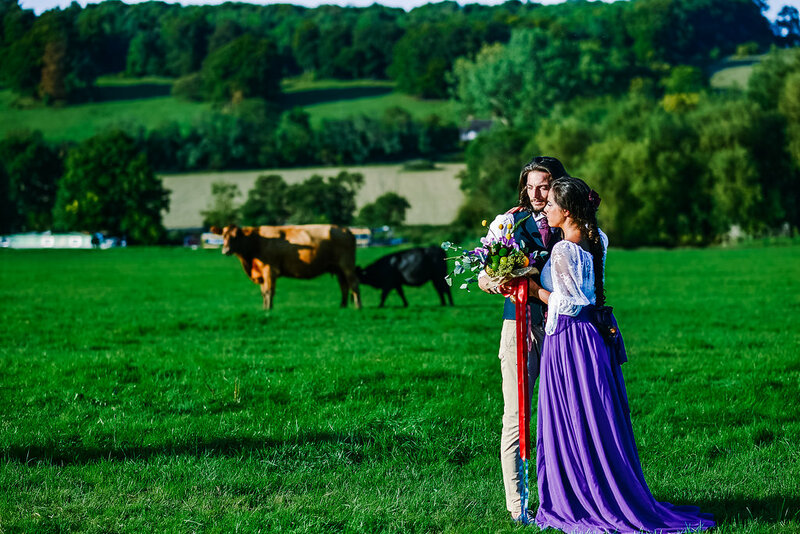 This with our gorgeous models, brought the whole scene to life..